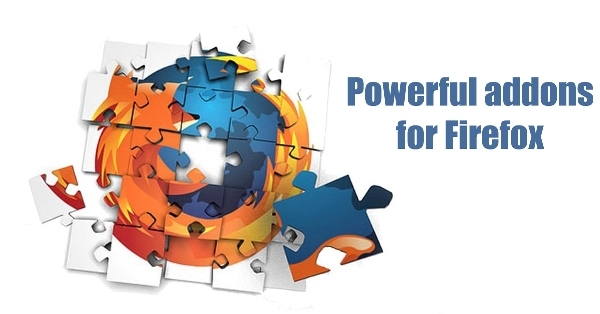 Forefox is one of the best and secure web browsers which is used by millions of internet users worldwide. If you are a frequent user of internet then you must be familiar to its functionality. Along with providing good browsing experience, some extensions can also be attached to it for various useful activities. Just like chrome extensions, the extensions of fore fox can also perform a variety of tasks such as taking screen shot, calculator, money convertor and many more. The add ons to create screenshots is a very useful tool for many internet users. Sometimes you need to manage record of data from web pages and the best way of saving them is screen shots. Pearl Page Saver Firefox addon lets you save an image of a web page to a file. Web page screenshots may be captured interactively. Options allow you to control the output format (PNG or JPEG), image file name, scaling, and much more. Capture Firefox Add ons to create screen shots can be use to capture firefox window or the whole screen & you can make screencast videos. You can compose tutorials, e-lessons or videos. You can also record your voice. This Firefox extension is for Windows XP, Vista, 7. FireShot is a Firefox extension that creates screenshots of web pages,unlike other firefox extensions, this firefox plugin provides a set of editing – annotation tools, which let users quickly modify web captures and insert text annotations and graphical annotations. with Screenshot Firefox Add ons to create screen shots you can capture and upload a webpage screenshot to UploadScreenshot.com. Screenshots are hosted free of charge with no advertisements. Lightshot firefox plugin is a easy and convenient screenshot firefox plugin,allows you to make screenshots of any selected area, edit and upload it to server. Screen Capture Elite lets you copy or save any visible, complete or selected region or a webpage and save it as a jpeg or .png image file. It will capture what you can see in the window, the entire page, just a selection, a particular frame… basically it saves webpages as images – either to a file, or to the clipboard. This is among the add ons to create screen shots, that can captures Flash too.